Shop online for over 300 zvezda plastic models at discounts up to 50%. Cars / Trucks / Vehicles is the most popular of the 6 zvezda plastic models categories, then Figures, and Airplanes. This is the 1/100 Scale German PzKpfw II Light Tank (Snap) Plastic Model Kit from Zvezda. Suitable for Ages 10 & Up. 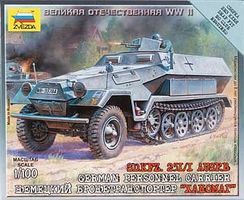 This is the 1/100 Scale Sd.Kfz.251/1 Ausf.B German Personnel Carrier Plastic Model Kit from Zvezda. Suitable for Ages 10 & Up. 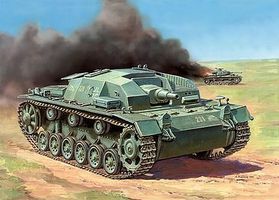 This is the 1/100 Scale Pz.Kpfw. 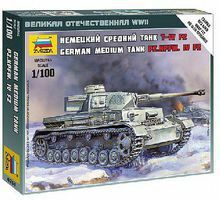 IV Ausf.F2 German Medium Tank Plastic Model Kit from Zvezda. Suitable for Ages 8 & Older. 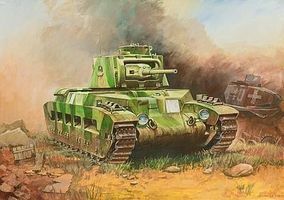 This is the 1/100 Scale British Infantry Tank Matilda II Plastic Model Kit from Zvezda. Suitable for Ages 10 & Up. 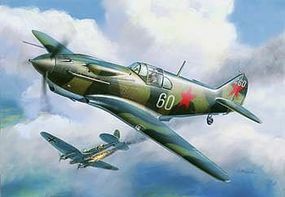 This is the 1/144 Scale Soviet Fighter LAGG-3 Plastic Model Kit from Zvezda. Suitable for Ages 10 & Up. This is the 1/100 Scale Stug.III Ausf.B German Assault Gun Plastic Model Kit from Zvezda. Suitable for Ages 10 & Older. 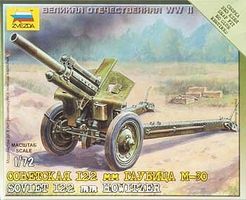 This is the 1/72 Scale Soviet 120mm M30 Howitzer from Zvezda. Suitable for Ages 10 & Up. 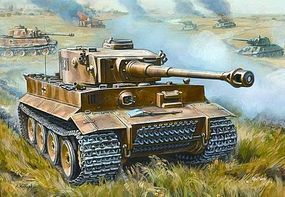 This is the 1/72 Scale German Tiger I Early Heavy Tank (Snap) Plastic Model Kit from Zvezda. Suitable for Ages 10 & Up. This is the 1/100 Scale German Medium Tank Pz-IV Ausf.D Plastic Model Kit from Zvezda. Suitable for Ages 10 & Up. 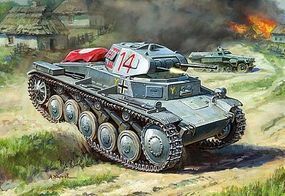 This is the 1/100 Scale German Pz.Kpfw.38T Light Tank Plastic Model Kit from Zvezda. Suitable for Ages 10 & Up. This is the 1/35 Scale M3 Armored Scout Car w/ Canvas from Zvezda. Suitable for ages 10 & older. This is the 1/100 Scale US Light Tank M3A1 "Stuart" Plastic Model Kit from Zvezda. Suitable for Ages 8 & Older. This is the 1/100 Scale US 155-MM Self Propelled HOwitzer M-109A2 Plastic Model Kit from Zvezda. Suitable for Ages 8 & Older. This is the 1/144 Scale Ju87B2 Stuka Dive Bomber (Snap) Plastic Model Kit from Zvezda. Suitable for Ages 10 & Up. This is the 1/72 Scale German Motorcycle R-12 Plastic Model Kit from Zvezda. Suitable for Ages 10 & Older. This is the 1/100 Scale M3 Lee US Medium Tank Plastic Model Kit from Zvezda. Suitable for Ages 8 & Older. This is the 1/100 Scale Soviet Heavy Tank KV-2 Plastic Model Kit from Zvezda. Suitable for Ages 8 & Up. This is the 1/200 Scale German Bomber Junkers Ju-88 Plastic Model Kit from Zvezda. Suitable for Ages 10 & Older. This is the 1/144 Scale German Fighter Messerschmitt BF-109 F2 Plastic Model Kit from Zvezda. Suitable for Ages 10 & Up. This is the 1/72 Scale French Foot Artillery 1812-1814 Plastic Model Kit from Zvezda.